I wanted to call this post “BIG Critters in Myrtle Beach,” or “GBOGH Meets Utan and Tommy,” but that wouldn’t work well for SEO now, would it? While we were on the South Carolina shore for spring break, we discovered the world’s largest crocodile at Alligator Adventure, and the world’s largest crab at the – wait for it – Giant Crab restaurant. Both water creatures; one real, one not-so-much! 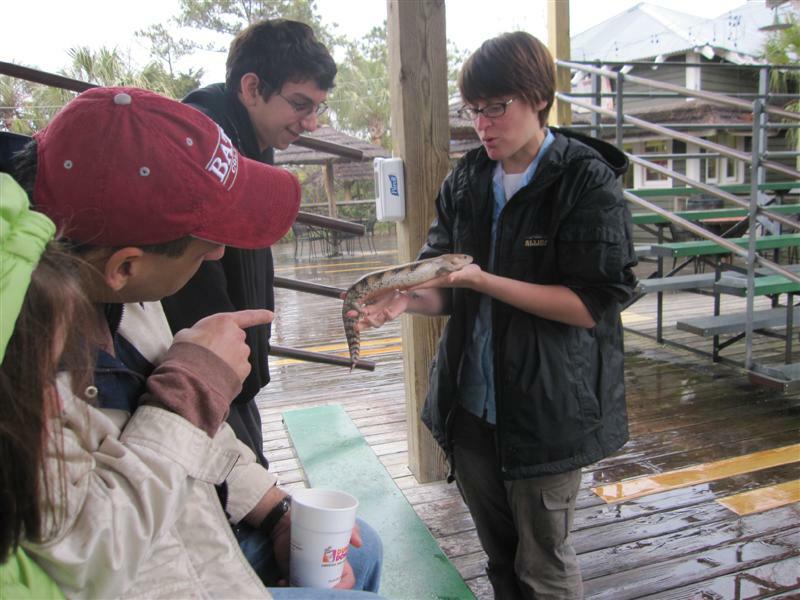 Alligator Adventure, one of the world’s largest facilities for reptile life, is home to more than 1,000 alligators, as well as Utan, the “world’s largest Crocodile.” Utan, the largest crocodile to ever be exhibited in the U.S., is more than 20 feet long. He was born in 1964 (older than me, go figure) at a crocodile farm in Thailand. He’s a hybrid of two species – Siamese and Saltwater croc. 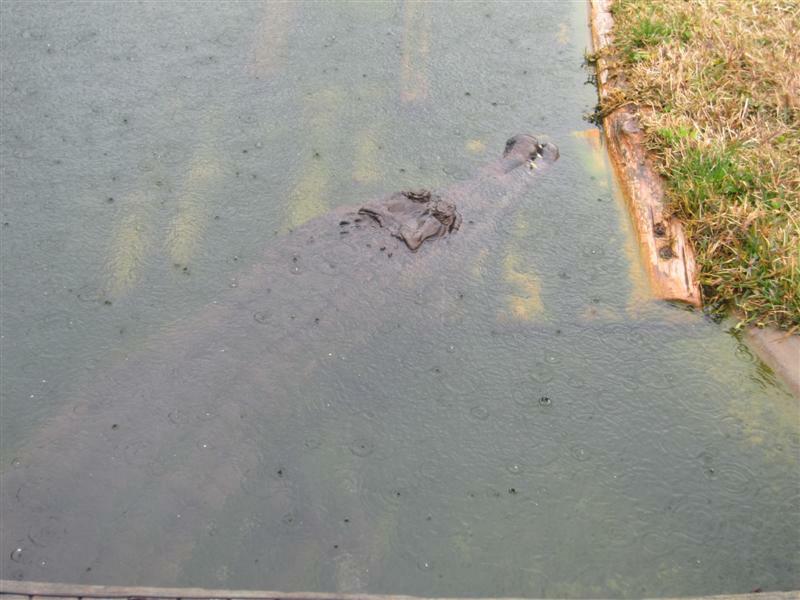 He was transferred to Alligator Adventure in 2002. Having personally met an alligator, I feel qualified to offer a little background on crocodiles. They average 18-21 feet in length, and can weigh up to 2,600 lbs. Crocodiles are known for their incredible jaw strength — they can exert over 5,000 lbs. per square inch, as compared to the great white shark, at 400 lbs. per square inch. Utan was not being cooperative. He stayed under the murky water, for the most part. The relentless rain that day wasn’t making us very cheerful, either, so I can’t blame him. Utan the Crocodile. Yeah, he’s down there. The day wasn’t a total wash. We enjoyed a live animal show presented by a naturalist, and the kids got to pet a blue-tongued skink and an albino snake. Another high point was seeing a two -headed turtle in a tank inside the Hospital/Research station. There are marshes, swamps, and other habitat exhibits covering 15 acres, where you can also see Siberian tigers, lemurs, monkeys, and bats. That’s a “skink”. Not to be confused with “skank,” which is what I accidentally called it. The Boy got quite the kick out of that. 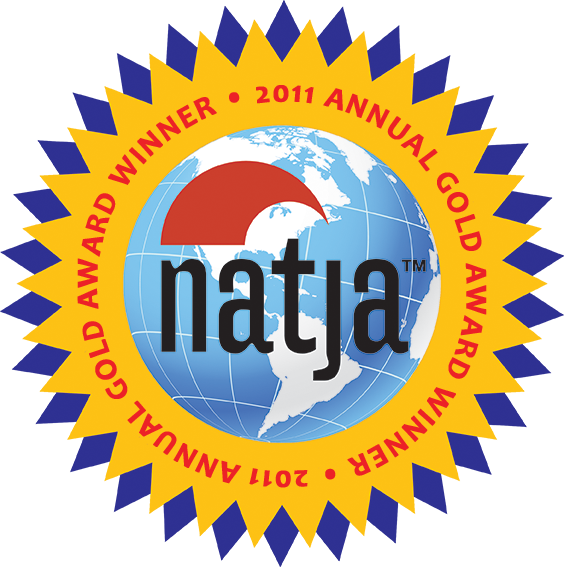 Also, Alligator Adventure is located in the Barefoot Landing shopping and dining district, so there is a lot of other things to do and see, like a carousel and a magic shop. At River City Café, you can color all over the table and walls, and throw peanut shells on the floor. The Girl didn’t know where to start. If you enjoy pancakes and/or seafood, you’ll be happy as a clam in Myrtle Beach, where every other storefront is a pancake house or seafood buffet. 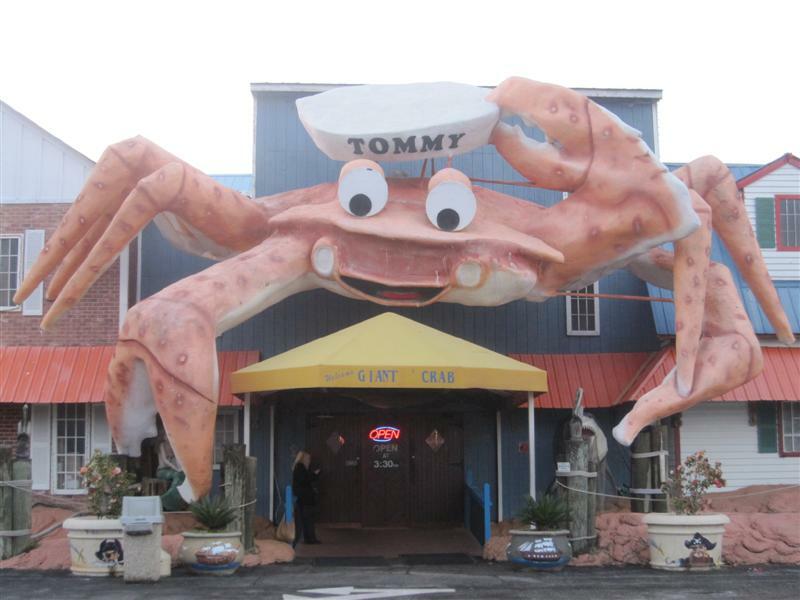 You can pick The Giant Crab out from the crowd, mainly because “Tommy,” the world’s largest crab, hangs over the front door. The restaurant does an admirable job recreating a Fisherman’s Wharf Village via outdoor decor. 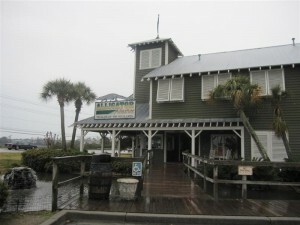 One side of the building features a 40-foot waterfall; a lazy river wraps around the entire village; and there’s a 50-foot lighthouse. At 4.5 tons, Tommy is the jewel in the crown. Named for the restaurant’s owner, he’s 25 feet tall and 35 feet wide!